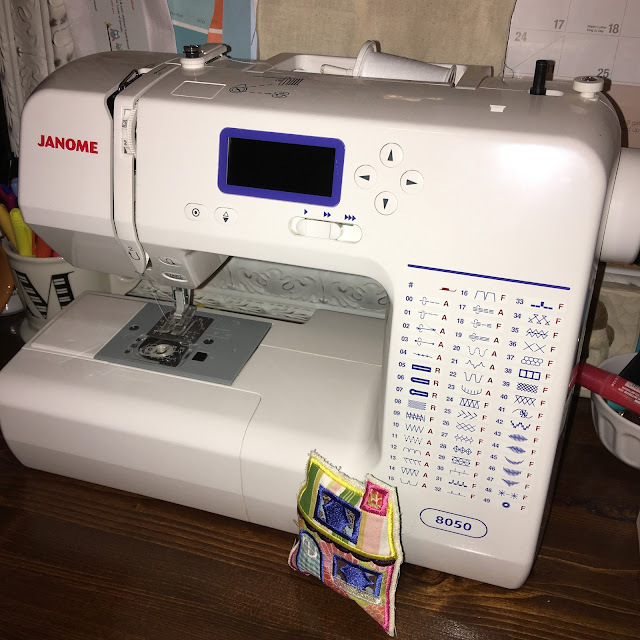 I love being able to embroider clothes for Harlow, but I wanted to find ways to use my embroidery machine for more than just clothes. 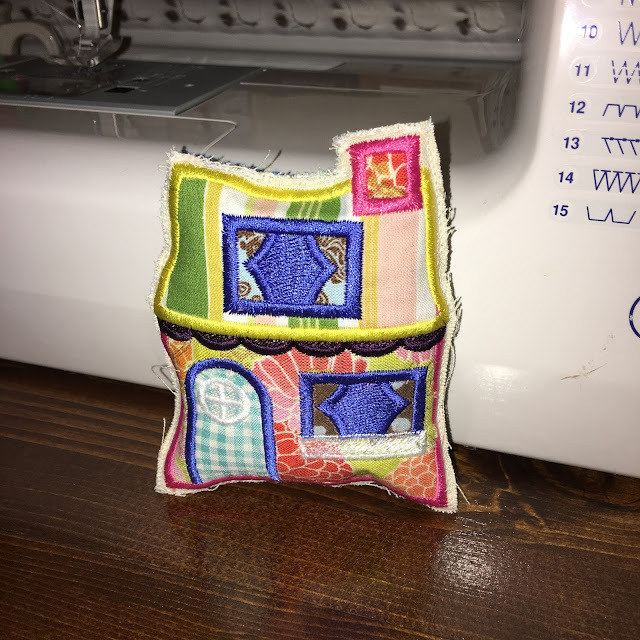 I've come up with a few different projects, including this little stuffed cottage! Harlow loves small things she can carry around. Small stuffed animals, dolls, pieces of fabric, anything small! 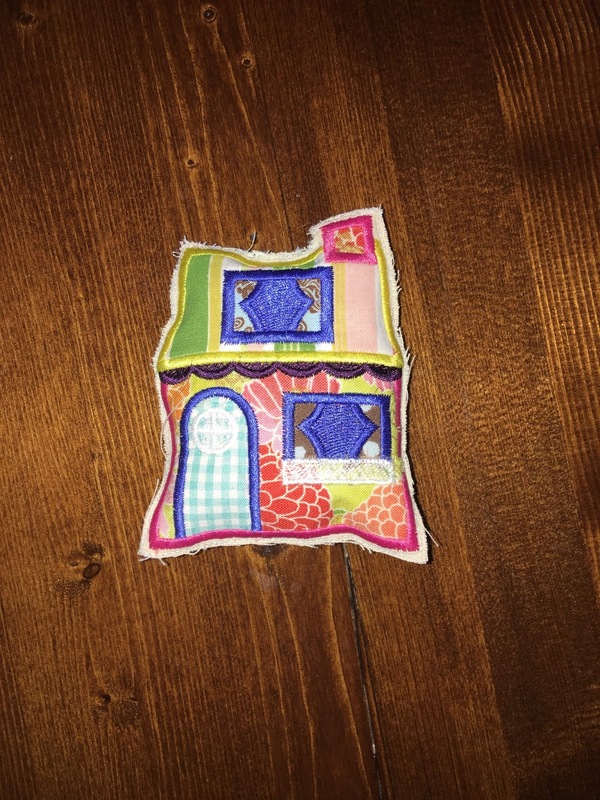 I loved this cottage embroidery design from Lynnie Pinnie and knew it would make a fun stuffed toy for Harlow. I embroidered the cottage and then cut the shape out. 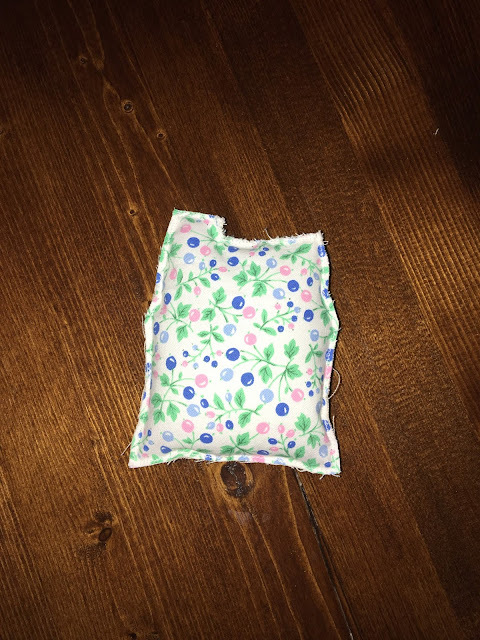 I cut a piece of fabric in the same shape and sewed (top stitched) it to the embroidered fabric, leaving a small opening. 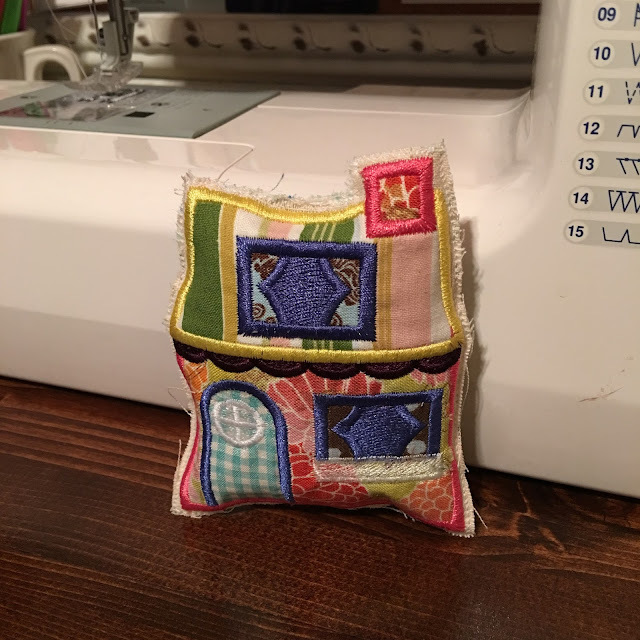 I stuffed the cottage with fiberfill and sewed the opening closed. The cottage is just so cute! It's adorable to see Harlow hold it in her tiny hands. If you have an embroidery machine, what other fun projects (besides clothes) do you make?